With the 3DVision system from QUISS, any position can be determined three-dimensionally in space, e.g. the position of an automobile chassis, its inclination and tip, which must be precisely determined so that further processing steps can be carried out. 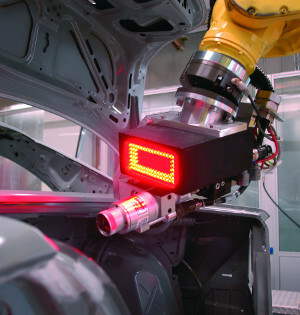 The special feature of 3DVision is that its entire sensor technology is integrated within a compact 3D measuring head. 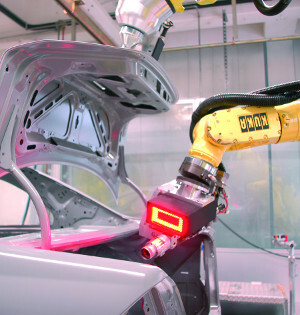 Its small size enables the measuring head to be easily mounted onto the tool head of an industrial robot. This system is a compact alternative to complex position-recognition equipment using stationary sensors. Within any variation in part types, the system demonstrates extreme flexibility. In a stationary system, additional cameras or sensors are necessary for every type. 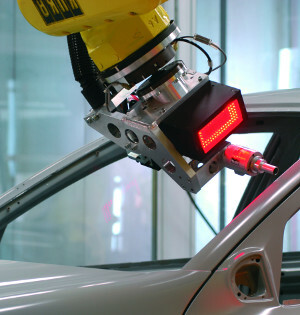 With 3DVision, however, only one sensor is used because the robot can approach the other measurement positions.